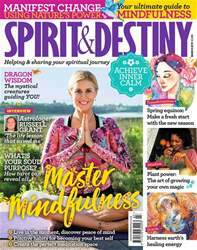 (1 Customer Reviews) | Write Review 12 issues per year Bring a little magic into your life with Spirit & Destiny magazine. Packed full of amazing features on feng shui, magic and psychic matters, along with the latest news on holistic health and fitness, Spirit & Destiny magazine will help you free your mind, body and soul. Plus, with every issue you can enjoy 7 pages of amazingly accurate and detailed monthly horoscopes from top astrologist David Wells. Looking for Spirit & Destiny in print? Unfortunately pocketmags.com does not sell print copies of Spirit & Destiny, but all is not lost. Our partner at magazine.co.uk sells print subscriptions at the best prices online. 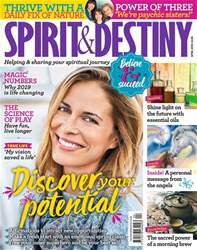 Bring a little magic into your life with Spirit & Destiny magazine. 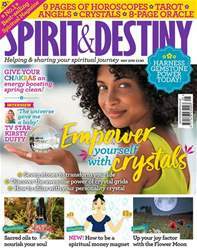 Packed full of amazing features on feng shui, magic and psychic matters, along with the latest news on holistic health and fitness, Spirit & Destiny magazine will help you free your mind, body and soul. Plus, with every issue you can enjoy 7 pages of amazingly accurate and detailed monthly horoscopes from top astrologist David Wells. You'll receive 12 issues during a 1 year Spirit & Destiny magazine subscription. You'll receive 12 issues during a 1 year Spirit & Destiny magazine print subscription.